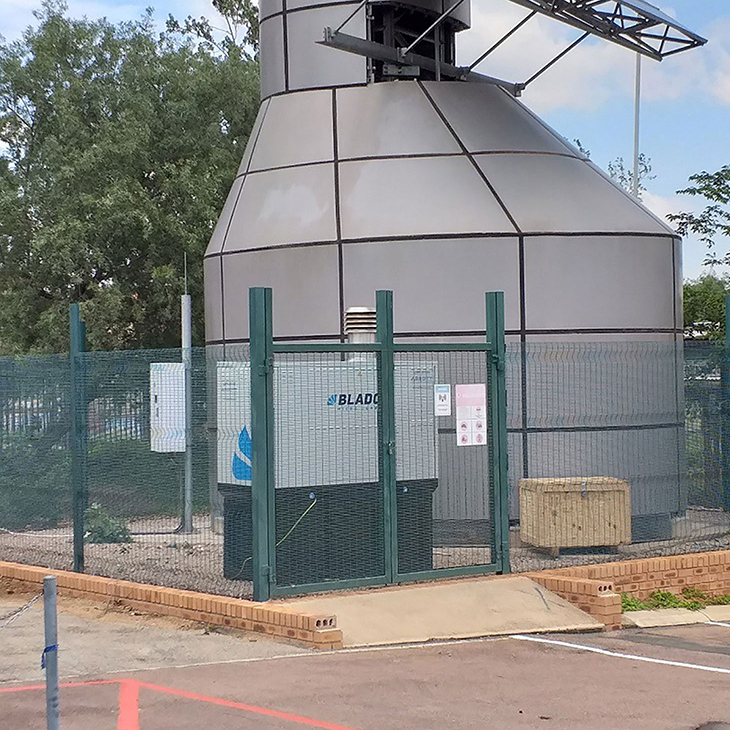 The Bladon MTG12 left our Coventry factory and travelled over 5,000 miles to South Africa, where there are over 30,000 towers. 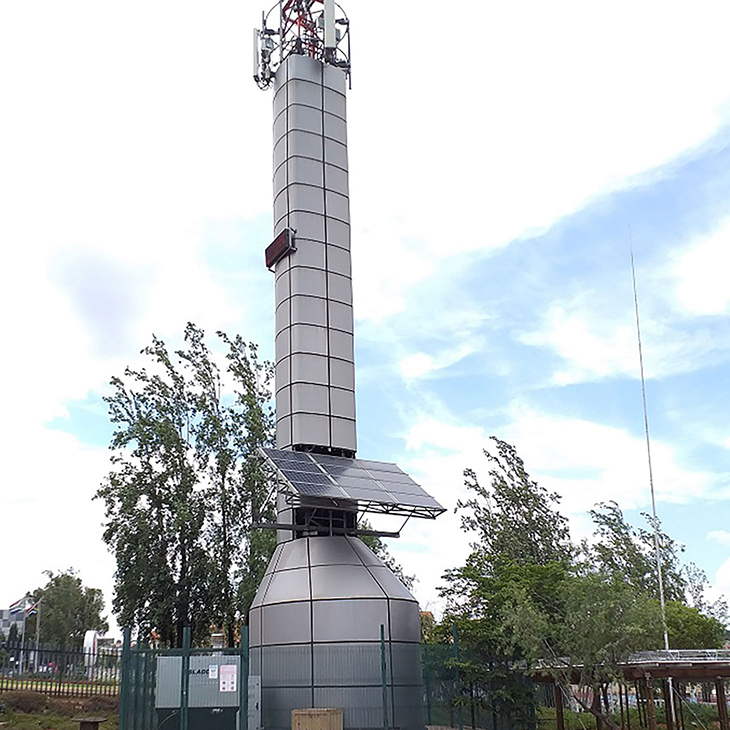 We are only starting here in South Africa to address some key challenges that telecom tower owners have with delivering efficient continuous energy to these towers. Unreliable electricity grids require that nearly every tower needs a backup source of power. 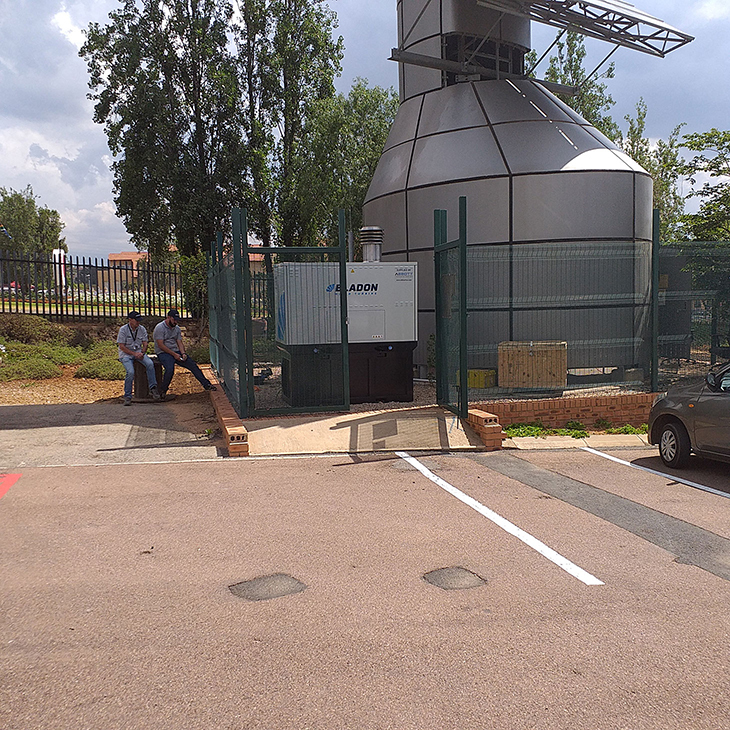 Combining a reliable set of our Micro Turbine Genset married with a fuel tank that can take either diesel, kerosene (cheaper fuel), or a mixture (eliminating fuel theft) brings a unique way of reducing a tower network’s operating costs without drastic changes in supply chain or configuration. 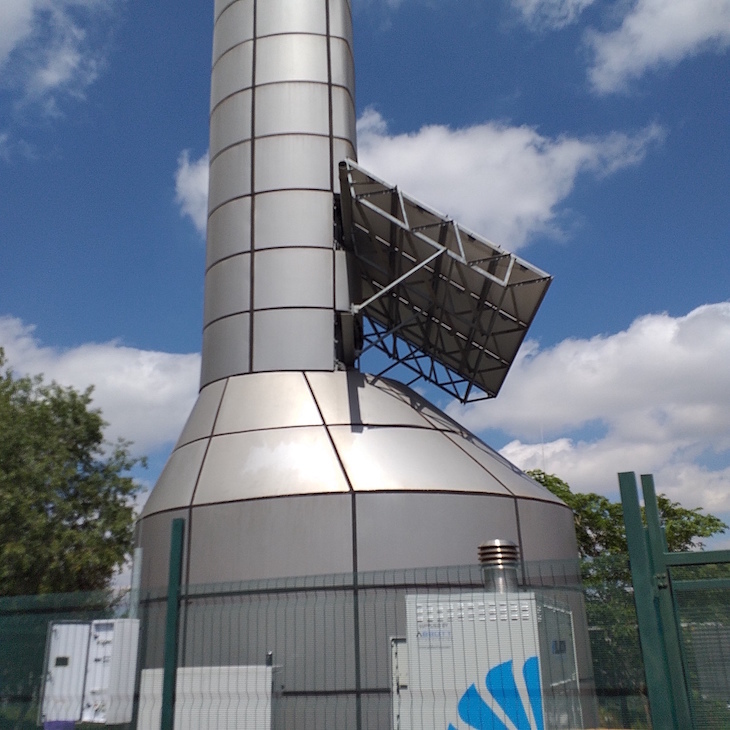 Consider the colossal challenge involved with servicing thousands of diesel gensets on thousands of towers, some in very remote locations. Anything that can contribute to reducing or eliminating visits to these sites is paramount. 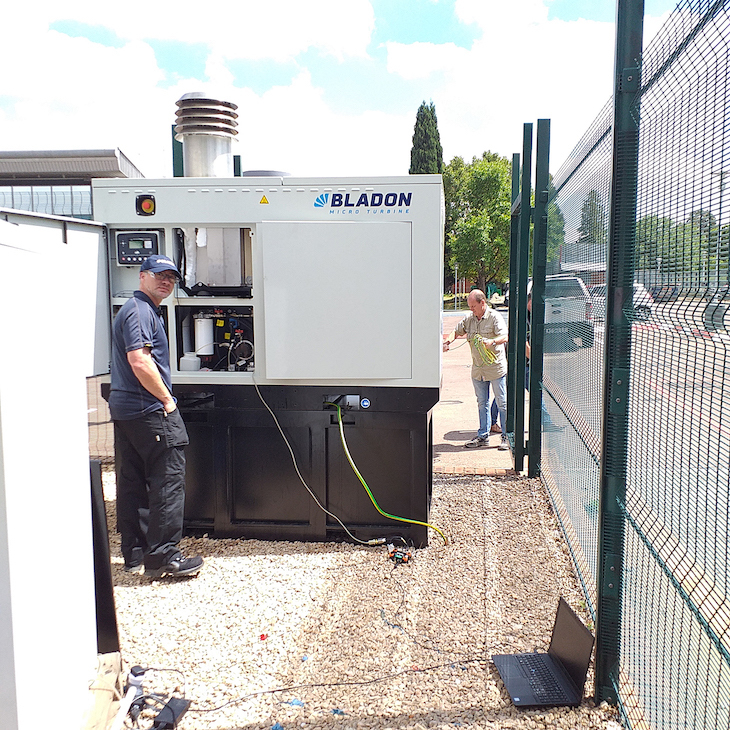 Bladon’s MTG needs attention only every 8000 run hours or once a year – which leads to thousands of kilometres eliminated from a service technician’s truck roll. 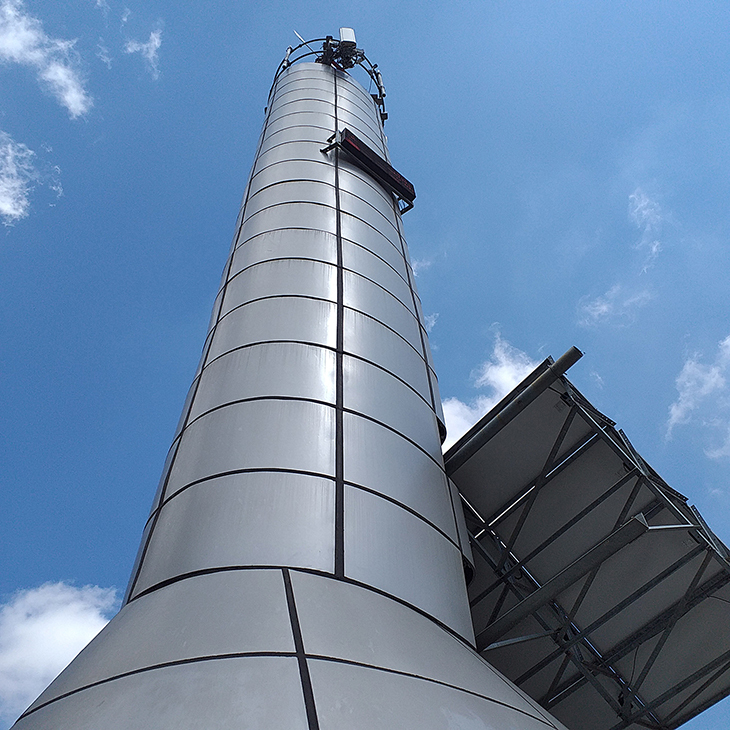 After installation at the base of the tower, the MTG12 underwent rigorous testing. Did you know that the black box under the MTG is the fuel tank? It can hold 1,000 liters of diesel or (cheaper) kerosene or a mix of any proportion. That’s fuel flexibility!! 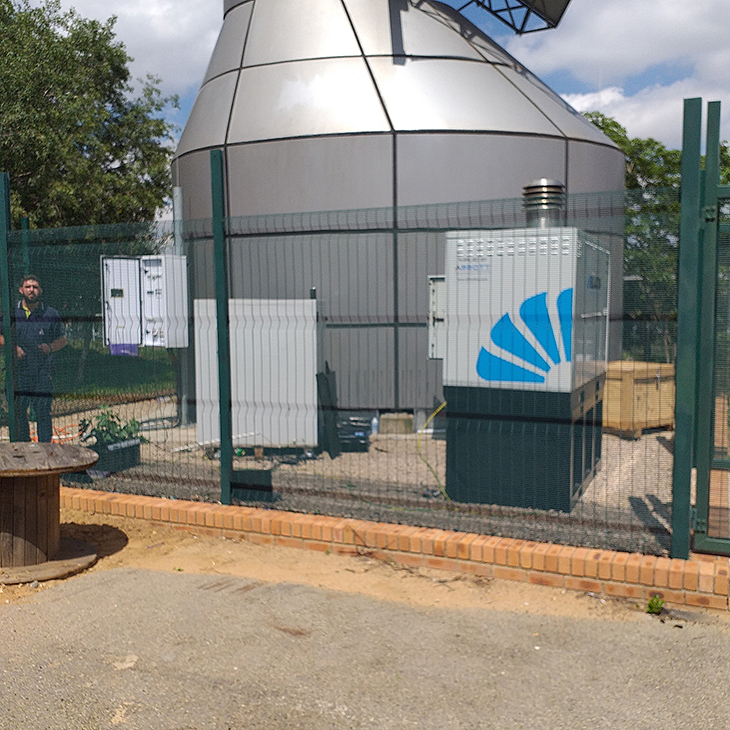 Many sites use multiple sources for power, solar power during the day and the MTG at night when it can run mover efficiently in the cool air and is super quiet so won’t annoy the neighbours.